Not too long ago, a little festival happened in the South of France called the Cannes Lions International Festival of Creativity. This festival is the global epitome of best in class creativity and effectiveness, attracting brands and agencies as well as tech giants from around the world. This year, we sent our biggest cohort yet, with people from all departments of Boys+Girls attending the festival. It was a chance to pause normal working life and take stock of the groundbreaking creativity and technology all around us. To refresh and reinvigorate ourselves with the inspiring work on display. All of our Boys+Girls saw and learned so much we wanted to share it with you. 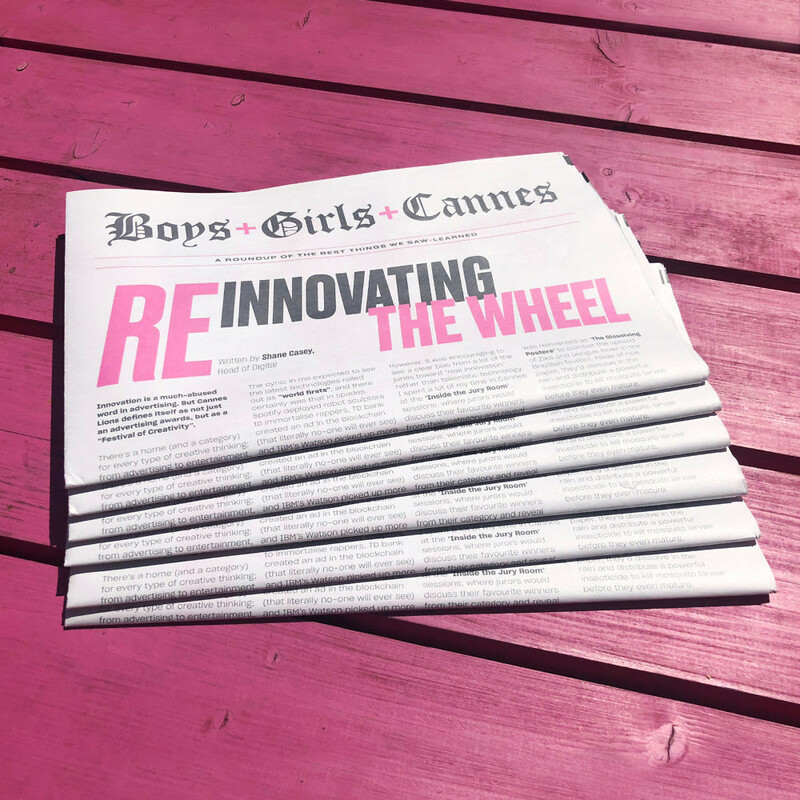 We printed the inaugural Boys+Girls+Cannes newspaper and published it here in digital form too. So sit back, grab un café (or un chocolat chaud if you prefer) and have a read of our Cannes Lions round up.